You'll be £9.99 closer to your next £10.00 credit when you purchase The Me. 262 Stormbird Ascending. What's this? Order within the next 7 hours, 11 minutes to get your order processed the next working day! Also featured are rare English translations of contemporary interviews concerning the 262 with Adolf Galland and Hermann Goering, along side the views of test pilot Hans Fey and Flug Kapitan Wendel who flew the aircraft in combat sorties. 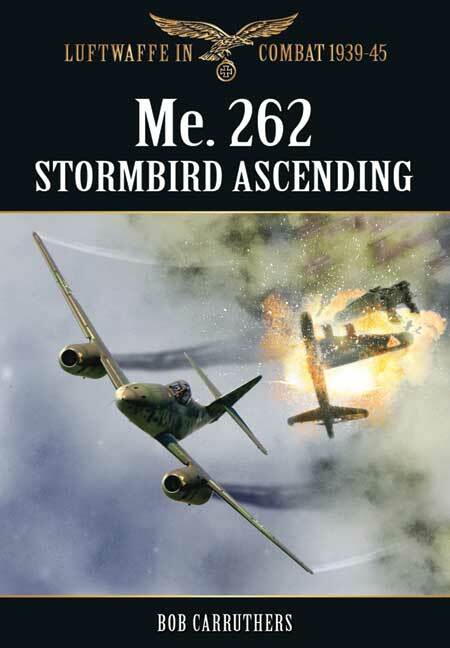 They provided an absorbing study, from a unique series of primary sources, of the world of the Me.262 and its pilots, and conveys to the modern reader a vivid sense of how they were viewed at the time. Also included is the complete pilot’s flying manual which affords a fascinating insight from the cockpit into the realities of piloting the world’s first operational jet fighter.